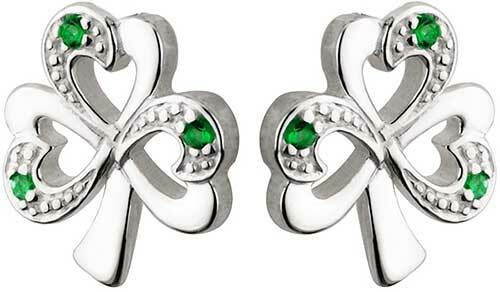 Shamrock earrings are sterling silver studs that are accented with lab created emeralds. The leaves of these sterling silver shamrock earrings are accented with lab created emeralds. The shamrock stud earrings are on posts with push on butterfly backs and measure 3/8" wide x 3/8” tall. 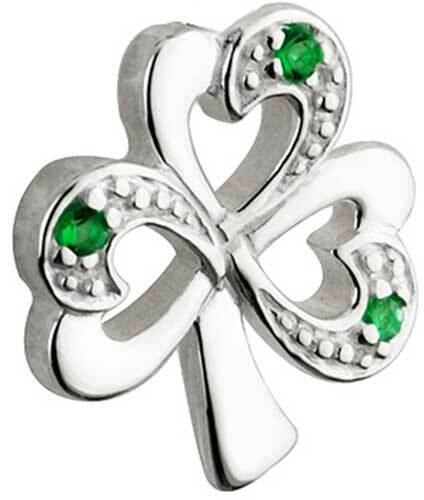 Sterling silver shamrock pendant features lab created emeralds along with an open leaf motif.